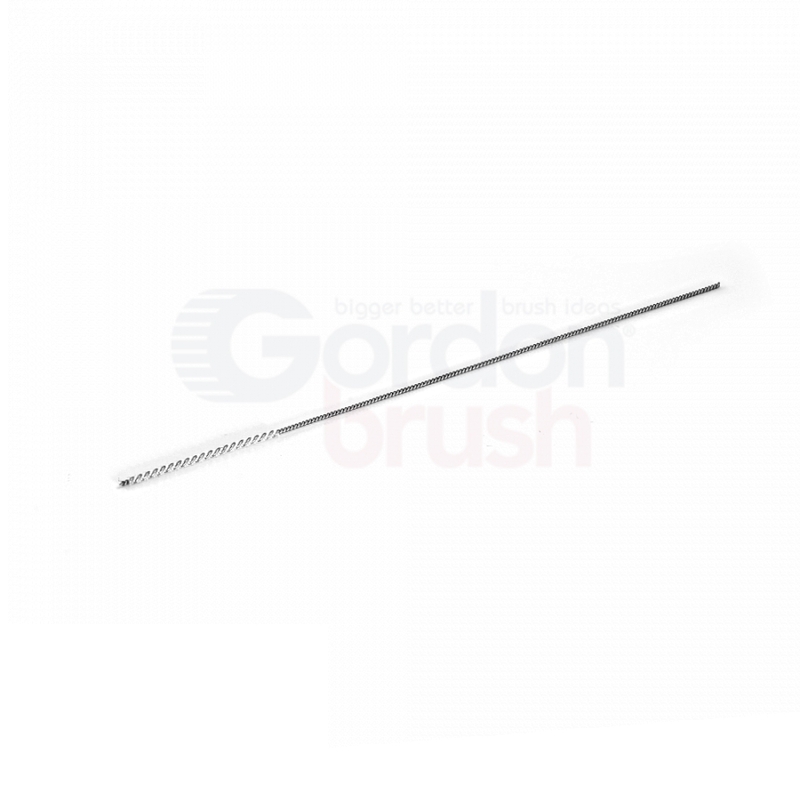 Stainless steel or galvanized steel single-spiral stem filled with abrasive nylon. Options for abrasive material are .008 Silicate nylon, 600 grit aluminum oxide nylon, or 500 grit aluminum oxide nylon. Miniature sizes are designed for ultra-fine deburring, edge blending, and cleaning. 0.035" 0.052" 0.069" 0.087" 0.103" 0.120" 0.138" 0.172" 0.208" 0.275" 0.344" 0.413" 0.550" 0.640" 0.765" 0.890" 1.015"
0.016" 0.026" 0.034" 0.043" 0.055" 0.072" 0.110" 0.125" 0.160" 0.165" 0.225"